Monrovia – The second day sitting of the House of Representatives’ re-called session on Tuesday, November 6, was filled with drama as the plenary voted in favor of a motion to summon several current and past government officials to give accounts into the printing of L$16 billion. However, plenary did not include former President Ellen Johnson Sirleaf, whom some of the lawmakers including House Speaker Bhofal Chambers and Rep. Acarous M. Gray, have repeatedly blamed for usurping the functions of the Legislature by ordering the printing of an excess L$10.5 billion without their acquiescence. Madam Sirleaf, angrily responding to Information Minister Lenn Eugene Nagbe’s assertions that the Weah-led government was investigating an alleged missing L$16 billion, and that President Weah was never kept apprised with the new printed bank notes by the past administration, defended that no money printed during her administration ever got missing and that all actions taken to print money during her tenure was legitimate. She went further by saying that the 53rd Legislature was aware of the printing of the additional L$10 billion bank notes to replace the legacy bank notes (Liberty) printed during the Charles Taylor’s administration. But Rep. Gray, addressing a press conference on Sunday, September 23, debunked Madam Sirleaf’s statements and said that the 53rd Legislature did not sanction the printing of the additional L$10 billion. On that Sunday evening, the Montserrado District #8 lawmaker and the Coalition for Democratic Change’s firebrand promised to lead a process that will make the former President account for her alleged actions. “I want to say to you that President Sirleaf is not off the hook from facing the Legislature. We will serve a communication to that effect. I can assure and guarantee you that I will lead the process. We will also lead a process wherein all lines ministries and agencies of government including NOCAL where President Sirleaf took full responsibility of the mess there to be audited,” he said back then. Other notable lawmakers including Speaker Chambers and Rep. Marvin Cole (Bong, District #3) are on records for calling on the the former President to be questioned. However, that decision to bring former President Sirleaf to the Legislature for questioning in its first attempt failed when Rep. Gray’s plead to have her included among scores of current and past government’s officials, who have been summoned to appear before the full plenary of the House on Thursday, October 8 to give answer to queries about the printing of the additional L$10.5 billion in 2016 was ignored by his colleagues. He then begged for Madam Sirleaf to write a communication to that august body stating her role in the printing of the excess notes, but that motion was also rejected. He attempted challenging the motion in his bid to have Madam Sirleaf included, but following pressure from his colleagues, he withdrew his challenge. 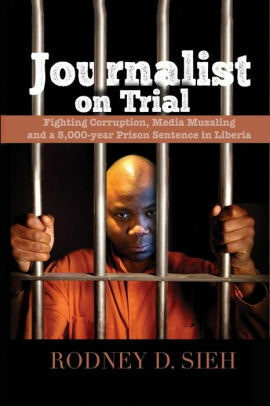 Meanwhile the current and past officials summoned include former Speaker Emmanuel Nuquay, the Central Bank of Liberia (Executive Governor Nathaniel Patry and Ex-Executive Governor Milton Weeks along with Board of Governors-past and presence and Deputy Governors), Ministry of Finance and Development Planning (Min. Samuel Tweah and Boima Kamara) and the Ministry of Justice (Cllr. Musa Dean and former Justice Minister, Cllr. Frederick Cherue). Others include the present and past heads of the Liberia Revenue Authority (Commissioner General, Thomas Doe Nah and former CG Alfreda Tamba) and the General Auditing Commission headed by Yusador Gaye. Plenary’s decision was triggered by a motion filed by Rep. Thomas Fallah (CDC, Montserado District#5), which came in the wake of a communication from Rep. Gray (CDC-Montserrado District #8) seeking the indulgence of his colleagues to invite all stakeholders involved in the printing of the money. In the communication, Gray called on the House to conduct its independent investigation as the alleged missing billions saga is damaging the reputation of the lawmakers, who are clothed with the constitutional authority to order the printing of money. Gray’s communication sparked mixed reactions among lawmakers as ex-President Sirleaf was finally left out of the hook. Before plenary’s decision, Rep. Gray’s communication was meted by mixed reactions that led to a sustained debate on the floor. While majority of the lawmakers lauded Gray’s communication, some were skeptical about the decision of the House to conduct a separate investigation into the matter outside of the one that is already being investigated by the Executive Branch and by independent investigator from the United States. Reps. Mariamu Fofana (UP, Lofa District #4) and Clarence Massaquoi (UP, Lofa District#3) noted that it was not prudent for the Legislature to conduct investigation into the matter as they themselves were also being investigated. “We can’t investigate when we ourselves are being investigated,” Rep. Fofana argued. “Since our local investigators and international partners are already investigating, I would beg the indulgence of the plenary to exercise patient until the investigation can be concluded,” added Rep. Massaquoi. Rep. Edwin Snowe (UP, Bomi District #1), however, differed from his partisans’ view, but noted that he will only vote in favor of the investigation if former President Sirleaf is not included among individuals that are to be summoned. “I hate to go against my partisans -Representatives Mariamu Fofana and Clarence Massaquoi. 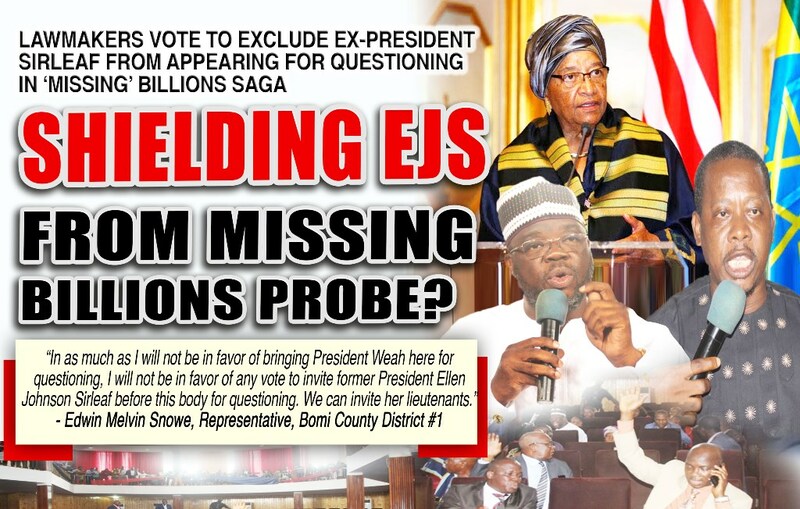 But in as much as I will not be in favor of bringing President Weah here for questioning, I will not be in favor of any vote to invite former President Ellen Johnson Sirleaf before this body for questioning. We can invite her [former] lieutenants,” he said. Although Snowe’s suggestion met a stiffed resistance from Reps. Dixon Seibo (Montserrado District#16) and Gray, as they argued that President Sirleaf was at the center of the printing of the money and as such she ought to appear. “When a former President speaks on current issues, when she goes on BBC and says we do not know about GDP because we say L$16 billion went missing, then she must come here,” quipped Rep. Seibo. In a related development, the House of Representatives also voted unanimously to invite the Minister of Finance and Development Planning, Samuel Tweah, CBL Governor, Nathaniel Patry and the head the Banker Association of Liberia along with their deputies to appear before the House’s Committees on Public Accounts, Ways, Means and Finance; and Banking and Currency to give accounts of how the US$25 million was infused into the economy to reduce the amount of Liberian Dollars on the market. Plenary also voted unanimously to send President Weah’s bill cancelling tenured positions in the Executive Branch to the Committees on Judiciary and Good Governance to report within a week.